Veteran Journalist, Colin Hart, gives Track Academy his exclusive thoughts on this year’s Commonwealth Games. I’d like to pay handsome tribute to one of Track Academy’s very own. Amar Aichoun, a 20-year- old Brunel University student, was diagnosed with MS seven years ago. 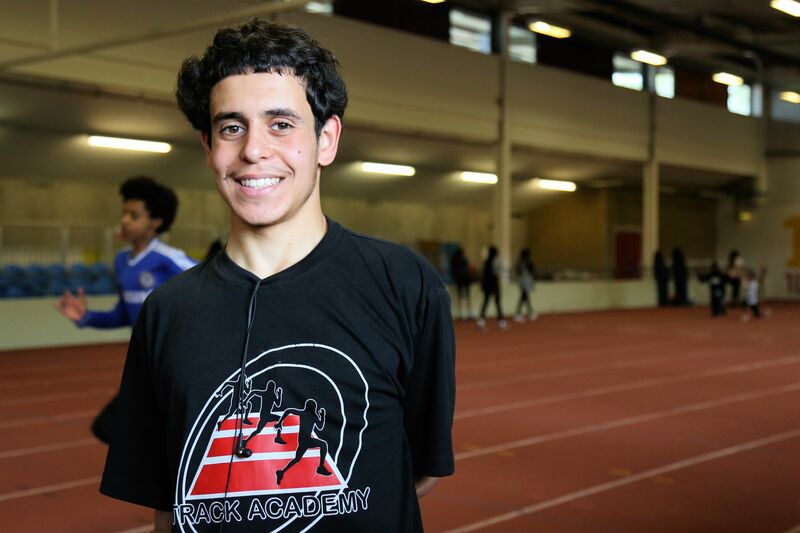 Much to his surprise, he was chosen by British Athletics to be one of 18 para athletes to compete at the Gold Coast in the T38 100metres. His coach is Connie Henry, former international triple jumper who got a bronze medal at the 1998 Kuala Lumpur Commonwealth Games. Amar did himself and everyone proud. He didn’t bring home a medal but he reached the final. I’m certain he won’t forget the experience for the rest of his life. No doubt he’s already looking forward to competing at the next Games in Birmingham in four years. However, there’s no point in pussyfooting around: in general, the athletics at the Commonwealth Games was about as exciting as watching hungry tortoises racing towards a cabbage. In the main, much of the track and field at the Gold Coast’s Carrara Stadium turned out to be painfully dull due to the poor standard in so many finals..
And there were several reasons why they were so dull and such a disappointment. Too many of the Commonwealth’s top athletes decided to stay away. It was out of season for the northern hemisphere competitors and, because of the tremendous time difference between here and Australia, it happened while we on this side of the world were fast asleep. The BBC TV coverage was as usual comprehensive but it was only the insomniacs who were awake to see it happen live. There was such a lack of English gold medallists, my colleagues on the national papers who were covering it out there concentrated far more writing about swimming, cycling, gymnastics and netball. Seb Coe, President of the IAAF, was at his diplomatic best when he summed it up: “It wasn’t a bad turnout. Some of the overseas talent were not bad. But we have been watching people who are by and large undercooked.” In fact, so many of the English weren’t simply undercooked – they were downright raw. There were few performances to boast about and far too many in the English team were downright disappointing. None more so than high hurdler Andre Pozzie, who was supposed to have been stitched on for a medal if not the gold, yet finished an abysmal sixth in the final. Another surprising failure was Olympic bronze medal hammer-thrower Sophie Hitchon. She ended up with three no-throws in the qualifying round. And once again injury struck Adam Gemili who was devastated having to pull out of the 100m final with a thigh strain which also kept him out of the winning 4 x 100m relay squad. The Blue Riband event was surprisingly won by South African Akani Simbine in a slow 10.03secs with Jamaica’s red-hot favourite Yohan Blake nowhere to be seen. There was also heartbreak for Zharnel Hughes who thought he had raced to victory in the 200 metres when he flashed across the line in 20.12 secs. But as he was doing his lap of honour, he heard he had been disqualified for running out of his lane. But it wasn’t all doom and gloom. Dina Asher-Smith may only have got the bronze in the women’s 200 metres, coming in at 22.29 seconds behind Bahamian Shaunae Miller-Uibo and Jamaica’s Shericka Jackson, but she was in the only genuine world-class field in the entire championships. At 22, Dina is already a force to be reckoned with and she is a potential medallist at the Berlin European Championships in August and two years from now at the 2020 Tokyo Olympics. There was joy for Katarina Johnson-Thompson, who struck gold in the heptathlon to add to the one she got at the world indoors in Birmingham 42 days earlier. The Liverpool lass had to overcome a painful calf injury sustained in the 200 metres – the last event on the opening day. But she was so much better than the rest of the field that she virtually jogged the 800 metres 14 secs slower than her PB to score 6255pts. But in all honesty her opposition was so poor she could have won the Commonwealth title on one leg. I don’t wish to denigrate Katarina but, to prove the point, Canada’s silver medallist Nina Schutz was ranked number 40 in the world last year. We really didn’t need proof just how athletics is going to miss Usain Bolt and Sir Mo Farah now they have hung up their spikes. I’m sure if either of those super-stars had been doing their thing at the Carrara Stadium it would have encouraged British fans to stay up all night to watch them.